A landmark North Tyneside hotel has fallen into administration, just weeks after facing a winding up petition from the local authority. Administrators Steven Ross and Ian Kings were appointed to the business on January 6. Their appointment follows a winding up petition against the business, submitted to Newcastle upon Tyne County Court by North Tyneside Council. The council declined to comment on the reasons behind the winding up petition which was issued at the beginning of December. Baker Tilly confirmed the property asset was sold pre-appointment, and that the administrators have entered into a licence agreement with the purchaser of the building to allow trading to continue under the hotel’s new ownership. All staff have retained their jobs following the move. Popular Whitley Bay night spot Deep is also part of the hotel. The Rex’s website describes it as the “perfect hotel for the young and young at heart”. Conferencing and ballroom facilities at the venue, which overlooks the sea from Whitley Bay promenade, can hold accommodate around 500 delegates. The business started life as the Waverley Hotel – built on Whitley Bay’s sea front promenade as a temperance hotel in 1907. Over the next 10 years it swallowed up neighbouring houses and adjoining vacant land. A pamphlet issued by management in the early 1920s described it as one of the largest and most up-to-date on the North-East coast. It had about 150 bedrooms and a heated garage and tennis court. 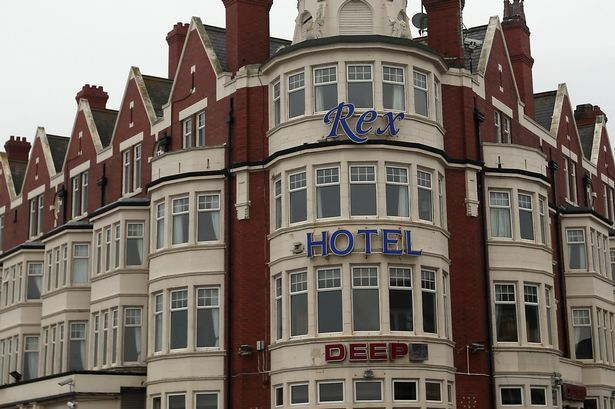 In the late 1930s the hotel changed its name to The Rex got a licence to sell alcohol for the first time. The hotel has hosted a number of famous performers. In 1969 Alan Hull ran a folk club at the hotel. His band Brethren performed their first gig there. They were later to change their name to Lindisfarne. In 1982, Les Hall bought the Rex Hotel to run with daughter Gillian. The business was later owned by Ultimate Leisure and Premium Bars and Restaurants.